Adolfo Kaminsky saved as many as 14,000 Jewish lives in World War 2. How? Because of his commitment to the resistance movement in France… and his dry-cleaning expertise! On the Sunday, October 29 edition of 60 Minutes, the story of 92-year-old Kaminsky dispelled any discouragement I have been feeling about the state of our world and the power of each one of us to make a difference. Amazingly, Kaminsky’s family was released after three months, and his father decided the family would have a better chance of surviving if they split up and assumed false identities. When 18-year-old Adolfo was sent to pick up the new identifies, his eyes had already been opened to the horrifying reality of Nazism’s goal to exterminate the Jews, and the resistance leaders discovered Adolfo’s hidden gift. Because of his dry-cleaning experience, the young Adolfo was able to help the French Resistance overcome their greatest challenge: how to erase permanent blue ink from official documents. If the Resistance could figure it out, forgers could modify the original documents of Jews as well as create new ones. The solution? The use of lactic acid from the dry-cleaning process. The ability to alter as well as create identity cards, passports, food ration cards, birth certificates, and marriage certificates enabled thousands of Jews to escape discovery. The forgery operation of which Kaminsky was largest in France, sometimes producing up to five hundred documents a week. When CBS interviewer Anderson Cooper asked if he was afraid, Kaminsky responded, “Afraid of what? The risk was the same if you did nothing, so at least working in the Resistance, I could fight. I was fighting for humanity.” Discovering and using Adolfo’s gift unleashed the power of difference making. Our theme for the 2016-2020 quadrennium in the Iowa Annual Conference is Creating Difference Makers. Difference makers are those who change the world by modeling the self-giving love of Jesus through their words and actions. Where do you see difference-makers in action? Several women at Britt United Methodist Church started a clothing ministry in their church building this past summer. Grace Abounds receives donations for all ages from the church and community, including school sports gear and concert attire. A school counselor says that Grace Abounds is a great resource for students in need. Thank you, Britt UMC difference makers! 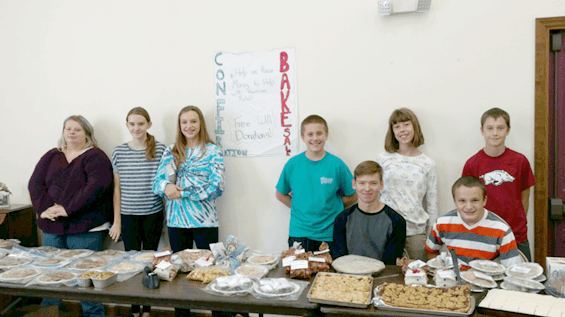 The confirmation class at Lisbon UMC held a bake sale in October for hurricane victims. They baked themselves and asked their adult mentors and others to help as well. The students made $669.72, which was sent to UMCOR. Thank you, Lisbon UMC difference makers! Mary Lautzenhiser Bellon, Director of the Office of Pastoral Care and Counseling, and UMCOR Disaster Response Coordinator Pastor Catie Newman recently sponsored a Spiritual Care Training in listening skills, the grief process, and how people react emotionally in a disaster. The goal is that after a disaster, such as a tornado or flood, trained caregivers from Iowa can be sent to churches and communities to provide a caring and listening presence. Thank you, spiritual care difference makers! Sioux City Grace UMC had been significantly behind in apportionments. Early this year, however, the congregation transitioned from paying nothing to keeping current on 2017 payments. They have also made a commitment to pay back apportionments from previous years. Thank you, Sioux City Grace difference makers! Justice for our Neighbors has provided free, high quality immigration legal services, education, and advocacy at seven sites in Iowa for eighteen years. From January 1 through July 31, 2017, JFON Iowa handled 1,866 cases involving family reunification, escape violence, citizenship, work authorization, and advice and counsel. This includes individuals from 54 countries. Thank you, JFON attorneys, volunteers, and financial contributor difference makers! 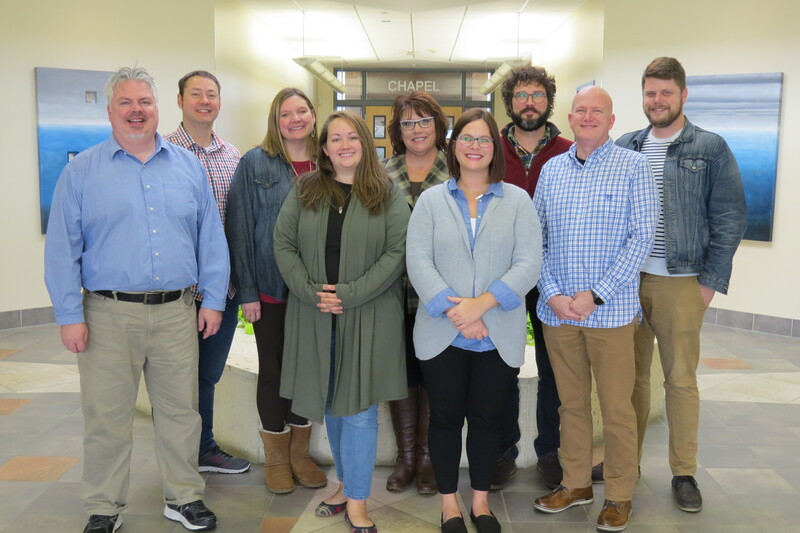 The Communities of Faith L3 Team (Loving, Learning, Leading) is working to provide the best environment for every existing and new community of faith in the Iowa Annual Conference to be engaged in vital ministry in their communities. The COF Team participated in developing our new vision and mission statements and Wildly Important Goal of each church having a discipleship pathway by 2020, and in recommending that a new position of Director of New Faith Communities be created as a result of our Strategic Priorities. They are also tasked with fostering a Conference environment that is conducive to transforming communities into vital ministries in Iowa, providing tools for doing so, and aligning the structure of our Annual Conference for this outcome. Thank you, COF difference makers! Since 1869, United Methodist Women have been serving women and children the world over. The UMW is currently actively advocating for the bi-partisan Reach Every Mother and Child Act (Reach Act) in Congress. The act would focus on partnerships with government and the private sector to end preventable maternal and child deaths by 2035. Thank you, UMW difference makers! Was Adolfo Kaminsky a forger or a difference maker? Kaminsky and three others operated a secret lab right in the center of Paris, pretending they were artists in order to avoid drawing the attention of neighbors. He and his colleagues fought the Nazis with their sewing machines, which they used to create perforations in stamps. They fought by forging signatures and reproducing watermarks. They fought by assuming every day the risk of being discovered. After Paris was liberated, Kaminsky, who was much admired by the French Secret Service, was asked to produce documents for French spies who were being parachuted behind enemy lines. After World War 2, he began to forge documents for people in other repressive countries who were fleeing for their lives, such as Venezuela, Portugal, Greece, and Spain. The power of difference making. I see it, hear about it, and experience it every single day. Do you? How is your church giving hope to others this week? How are you changing the world by the ways in which you love God and your neighbor? How will you teach the children to become difference makers and remind them that every person on this earth has the potential to teach kindness, spread joy, see the best in others, and model the grace of Jesus? The power of difference making. Thank you for this, Bishop Laurie. After the events of the past few weeks I have been finding it harder to be positive and hopeful. The last paragraph of your writing gives me hope–“teach the children…every person on this earth has the potential to teach kindness, spread joy, see the best in others, and model the grace of Jesus.” Indeed, we all must commit to being difference makers.